Think of these charts as cliff notes from around the web on the markets, economy and monetary policy. This is merely a fun exercise in what we find every month on the web during our meta research. I add other tidbits (notes) to the images based on what we know. The first chart is the short history of monetary policy since the financial crisis with my notes in red/yellow. And a simple prediction of what’s next – ever “more” free money for the financial markets. Although at some point it won’t work anymore. It remains to be seen if the corporate buyback desks can hold the lower dotted rising trend line. But hey, it’s not the CEOs money and pension fund the corporations are burning while buying back corporate shares on the open markets – record cash burns are being broken to keep this chart going up. 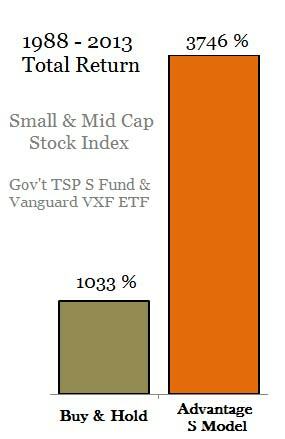 My first “I’m sure it’s nothing” chart is of the rest of the US stock market – the small caps as plotted by the VXF ETF (TSP S fund). Too soon to say, but the air has gotten very thin up here for the smaller companies. And valuations are very high – over double the 2007 peak in terms of the smallest 7% of US publicly listed companies on the major exchanges. But who knows better than America’s stock-option enriched CEOs when it is time to leave the scene of the crime. “…since the financial crisis” …what do they know? …but corporations have this thing called buybacks. And after the Treasury Secretary tweeted he was convening the Plunge Protection Team on 23 December 2018 panicking short sellers into buying, the buyback desks took over the rally. And the best time to bring a new company to the market is when investors are completely indiscriminate and the market is richly priced. Meanwhile, Liz Sonders sees the second worst reading among consumers in her model. Lucky consumer spending only makes up 70% of the US economy. Banking stocks have done well in the US thanks to the Fed paying them interest on excess reserves to the tune of billions. One of their fancy new monetary tools only the banks can use. But losses on bank investment securities haven’t been this bad since the financial crisis. Lucky they don’t have to report them on income statements unless they sell them. …they just don’t understand how easy saving the banks is today compared to the 1920-30s. With a few keystrokes on a computer, the Fed can simply “mark up the accounts of banks” as explained by the former Fed Chairman in the first 43 seconds of the video. And while listening, ponder his talking point on low consumer inflation – they never explain why low inflation is bad. It never was bad before they needed an excuse to print. And why didn’t they mark up my bank accounts? I would have spent it and helped the economy for the good of the nation and not paid off my bad debt like the banks did because I have no debt. Obviously, I’m doing something wrong – I’m a saver. A pissed off saver. Contrary to his remarks, they did not raise interest rates for 10 years or sell down their balance sheet. And the wealth effect did not grow the US economy because the poor people (80%) did not spend more because the already-rich became richer. Nothing they blathered about was backed up by research or came true. And growing inequality is not their fault but they feel really bad about it. There are absolutely no bad outcomes from their grand monetary experiment and there never will be as far as they are concerned. So the coming pension fund crisis is not their fault, so they don’t have to bail out your pensions funds like the banks that own the Fed. And I literally mean “own”…many of the bailed out banks own the private corporation that calls itself the US Federal Reserve bank. They bailed themselves out folks on the back of savers and pension funds. You see, interest rates suppressed 2-3% for 10 years have no impact on pension funds because economist don’t model it. By my back-of-the-napkin calculation, they transferred 30% of savers interest income to debtors and speculators. No impact on their supply-side economic models, none, ever. Of course, interest rates below inflation and low tax rates have been kind to a few. I have to slip this one in again. It’s the most important chart to understand of them all. The comments on the chart are mine not the source’s. Note this chart ended in 2016 before the tax cuts which will only make it worse going forward. While the social security trust-me fund was proffered as real, the other misinformation is that tax cuts grow the economy faster than it otherwise would. This is only true if the extra federal debt created from lower tax receipts is paid for by money printed by the Fed with the Treasury’s to avoid higher interest rates. Otherwise, tax cuts have merely contributed the the growing inequality on top of off-shoring and automation. And while I’m at it, we had the highest real GDP growth and net investment in our economy when taxes were highest on the upper tier – think investments for deductions to avoid paying taxes (again my comments on the chart). The rich did not have to give up their wealth due to high taxes if they invested it back into the economy. Today they can just hoard. So the politicians and PhDs know exactly what they are doing – no worries -especially if they drive interest rates below zero like in Europe – I’m joking but it’s not funny anymore. I feel so safe that we have PhDs in Political-Economy (old name for economics) in total control of the price of money (interest rates) and Goldman Sachs “economic” advisers making fiscal decisions (tax cuts). But why do all the Federal Reserve governors keep showing up on TV reassuring us the US is no where near a recession right now even though the yield curve inverted. Please consider research finds that the record of failure for economist to predict recessions is virtually unblemished. And the International Monetary Fund (IMF) finds the same level incompetency as shown in their chart. Economist only predicted 17 out of 469 recessions before they happened, but made up for it by not “predicting” 159 that were behind them. If a football coach had a record of 17-451 a lot of people should be fired for letting it go on that long. But economist get a pass, why. The one thing economist HAVE done well is tackle inflation “expectations”. Not to be confused with rising prices. See, no inflation in cars in over 20 years per their inflation “models” which eliminate the effects of higher prices from inflation calculations – I’m not kidding. Which gives them cover to keep interest rates low for speculators and corporate buybacks investors a bit longer. It’s not just car prices that had higher prices eliminated from inflation calculations. What is most striking about this next chart is that all the consumer goods that have become “more affordable” since 1998 are the ones that they “quality adjusted”, whereas the components that are not quality adjusted have gone up in price steeply. Basically the BLS is trying eliminate improvements in standard of living from social security COLAs but I ponder if people can drive 70% of a car or talk on 50% of an cell phone. More to the point, this squeezes the demand-side of the economy which is today’s economic constraint to growth. If you don’t understand the grand experiment after the financial crisis, you might not know what has driven this bull market. And what will end it. There are limits to what the central banks can do now that the SP500 companies are working there way to junk status in terms of credit quality and Europe has already pushed interest rates deep into negative territory. And as bad as the SP500 debt situation has become, the ponzi scheme called China keeps showing they can do anything we do better, bigger and faster. I’m sure there is no fraud, waste and abuse going on here. So glad the TSP and Vanguard International funds are diving into China now. Low interest rates had little effect on the main street economy, it merely helped to push and now prop up financial prices. So lowering interest rates will not stop a recession if one is coming. It will continue to make it worse for those depending on their savings to spend in the economy (not modeled by economist). Contrary to pronouncements by the current administration, the US economy is growing no faster than the last two years of the previous administration. But the federal budget deficit is about to turn into trillions for as far as the charts can see thanks to tax cuts. Cuts to spending will make the situation worse – much worse – in a deflationary feedback loop from hell. Either the central banks print money and monetize the debt or interest rates will trend higher after the current flight-to-safety plays out. Both solutions have repercussions on our investments and future. The US may not enter a recession in 2019 based on their GDP models. But I question their models, assumptions and intent. I don’t think they fully understand what they have done and if they do, they won’t admit it. They are beginning to realize their models are obviously broken and making their pronouncements look silly. So they are scrambling to create new models on how the economy works or more likely they need better cover stories to keep doing what they want. We are playing the end of a long secular bull market. This bull won’t die easy on central bank life support, but it will die. It is not time to be greedy. It is time to invest safe and invest smart. I simply hope I can paint a better picture that not all is well in the investing environment we find ourselves in today. I appreciate all the likes and shares I’ve received. I think it helps spread the word about the dangers we face which is my intent. Thank you. TSP & Vanguard Smart Investor’s goal is to help serious and reluctant investors make more informed decisions. Become a member for only $75/year to get our market warnings and recommendations. Compare our meager price to the drop in your December statement.